Council of American-Islamic Relations (CAIR) of Greater Los Angeles, according to a report. The town is about 25 miles northwest of downtown L.A. The freshman Democrat drew scorn from Republicans and some in her own party . She later apologized and clarified her criticism of the Israeli government. “We don’t disclose the numbers,” Officer Sal Ramirez told City News Service . 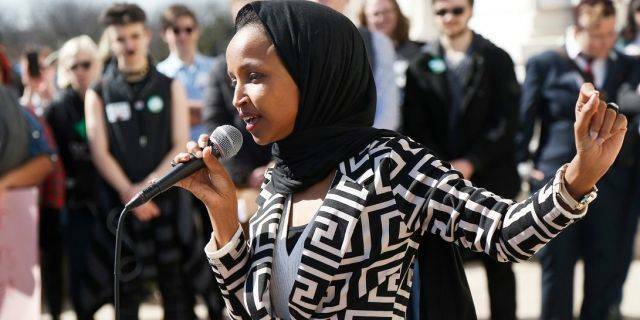 Omar's visit to Southern California is expected to continue Sunday, as she is scheduled to attend a private meet-and-greet in Irvine, according to a flyer for the event. Her appearance was one of two political events in the region Saturday. In Los Angeles, U.S. Sen. Bernie Sanders of Vermont, a Democratic 2020 presidential candidate, visited a mosque to commemorate the victims of the March 15 mass shooting in New Zealand, the Los Angeles Times reported .